It is that time again. The next session at the Digital Art Academy(DAA) begins on Saturday, April 7th. Registration is open and will remain open until Friday, April 13th. Gosh, Friday week is the 13th…I wonder if there will be a new Friday the 13th movie. I digress. Let’s get back to those classes. If you have never taken a class at DAA, taking one is a real treat. And if you have taken one, I’m sure you are ready to take another one. The participants of the class download all the lessons and resources and can use them at their leisure. Most classes have PDFs and video lessons. Some classes have live sessions using Go To Meeting. The live sessions are recorded and available to all. The teachers are laid back, informative, and always ready to answer questions, and comment on the work. Here is a rundown of the current classes. 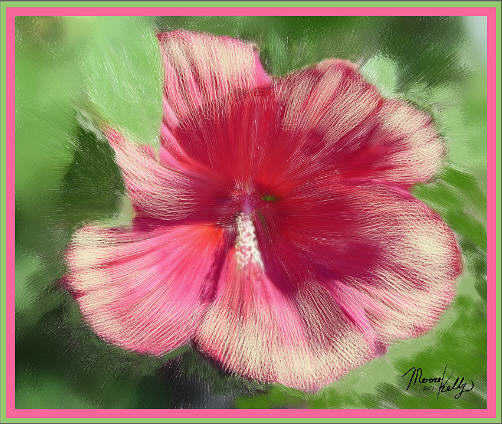 For Painter 12 beginners, Elaina Moore-Kelly returns with Introduction to Painter – Part 1 and 2. Part 3 will be coming next session I understand. You will love Elaina’s classes. They are very detailed and cover everything. She uses a lot of PDFs, which makes referring to the materials very easy. These classes are very reasonably prices, as are all DAA classes. Learning to Paint Elements in Watercolor Landscapes with Corel Painter 12 is a delightful class and very popular. 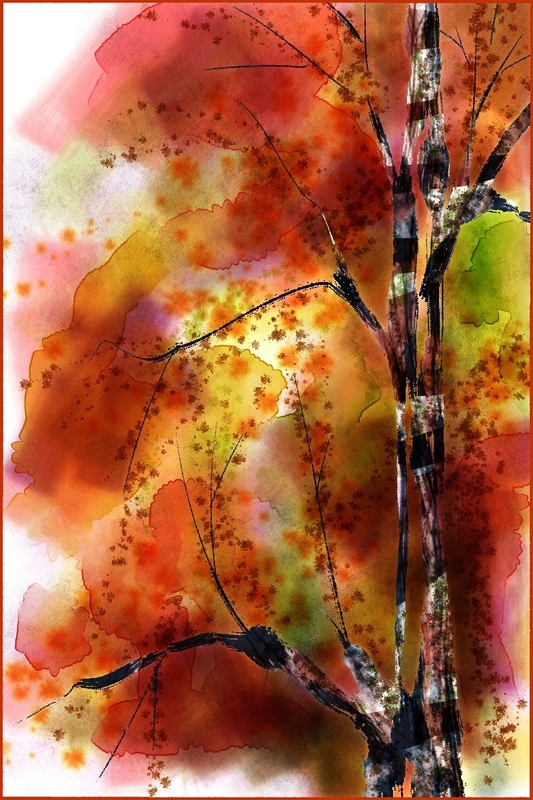 The instructor, Joan Hamilton, focuses on the Digital Watercolor Variants and makes them sing. 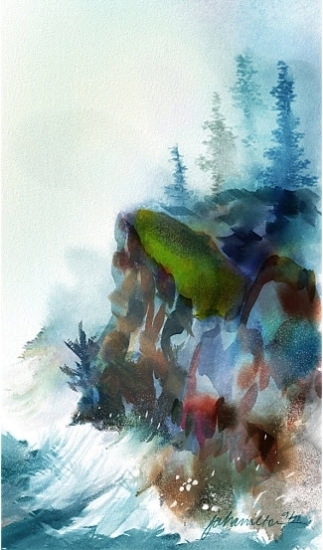 This class is a must for any watercolor enthusiasts; Joan’s vast knowledge is amazing. Corel Master Painter, Karen Bonaker, teaches two classes this session. 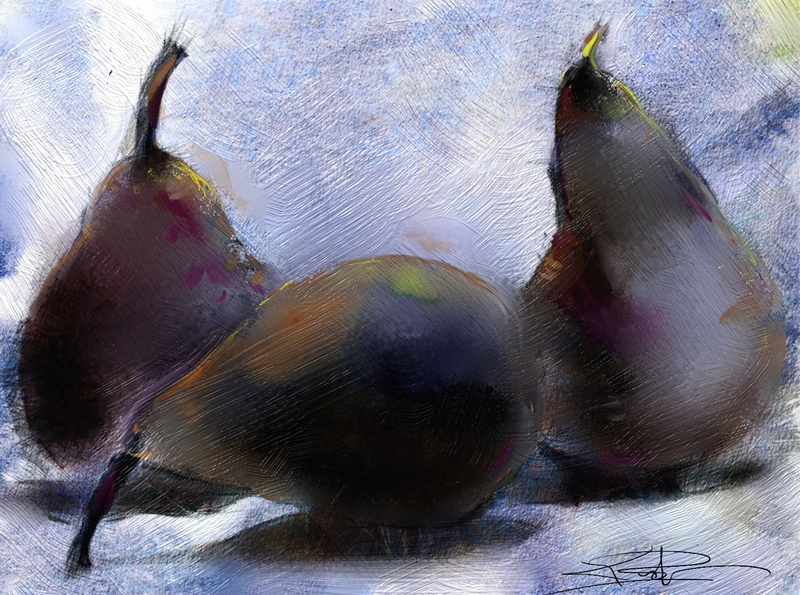 The first, ArtRage-Brush Course-Watercolor and What’s New in ArtRage 3.5, gets you up and running in the New ArtRage Pro 3.5. The second, ArtRage Pro Watercolor and Mixed Media, takes you to the next level. Karen’s teaching skills are exemplary, and she is the most popular teacher at DAA. Registration also begins for Open Studio, Summer Skies. DAA has four Open Studios per year; Summer Skies takes the number two slot for 2012. Karen Bonaker is at her best with Open Studio. She maneuvers in and out of a many media, whatever the participant want to use, and brings extra knowledge and skill to all. Do not miss any Open Studios. I am teaching six classes this session; none are new. If you are still in Painter 11, and I highly recommend you update, I still have three self-study classes: Intro to Painter 11, The Basics, Intro to Painter 11, Beyond the Basics, and finally Channels Selections and Masks. 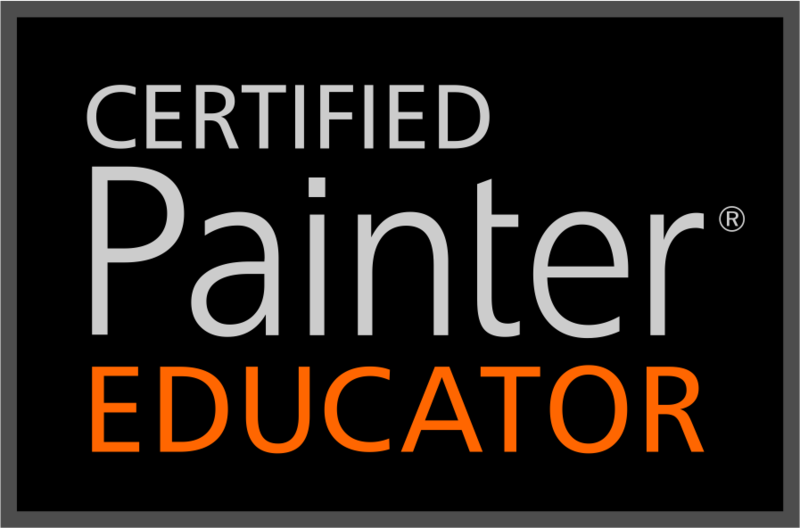 For folks transitioning from Painter 11 to Painter 12, try my Painter 12, A New Beginning class. 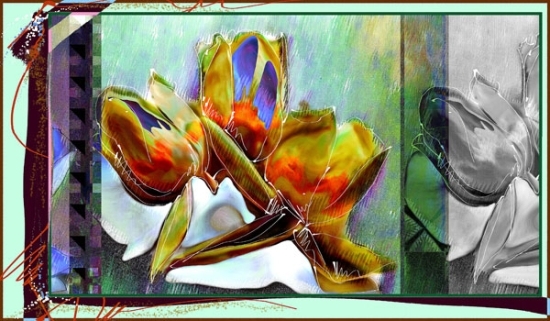 I cover all that is new in Painter 12. This isn’t for beginners, please be familiar with Painter 11. 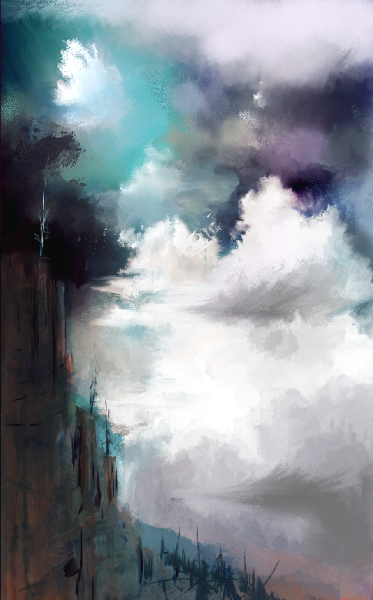 I love watercolor in Painter 12, especially loose, splashy, washy watercolor. In The Basics of Watercolor, that is exactly what I teach. I do love brush making in Painter 12, too. Obviously, I must have a class in Brush Making Basics for Painter 12. I hope to see all of you at DAA this session. You will love it and become part of the family right off the bat.